Amy & the day crew pushing Frank & day riders through the first assault on the Rockies. They’re attacking Baldy Mtn, the second toughest climb west of the Mississippi on the 2012 RAAM course. Let’s hear it for these gangers who are climbing this section between Durango and Pagoda Springs @ the end of a 13 hr day. The night shift is heading in the “Bowen” Springer van along the race course to pic…k up the gauntlet because US160 is the only paved road to travel in these parts! Steve and the night crew with Coach Tony and the night riders will immediately be climbing to Wolf Creek Pass, the highest point on the course & along the western continental divide; luckily on fresh legs. Everything is clicking away according to plan EXCEPT we’re $41,000 short of our fundraising goal and we’re running out of operating cash. Please click on that DONATE link here or on the gachaingang.org webpage. Please pass a link to a friend or family member so they can share in our experience and share in our fight against blood cancers. What a scene at the start – over 50 teams from all over the world. A few of them we know from previous races, particularly the German crew on Team Equipe Schwarz. It’s enough to say we’ve shared a few beers with them over the years…. The race started at noon local time (3pm EDT), but with are over 50 teams leaving in a staggered start we were the last ones to leave, so the GCG didn’t roll out of the starting gate until 3:45. All 8 riders rode out together, but within a half mile the 4 day shift riders peeled off and rode back to our Sprinter van, and immediately drove 200 miles to check into a motel in Blythe CA to catch as much rest as we can. A little about how we’ve organized the rotation of our 9-person crew, 8 riders and three vehicles. First of all we’re split into two teams, each including 4 riders and 4 crew. The “night” shift, with Coach Tony, Jerome Rossetti, Dave Payne and Lisa Wilson, will ride from approximately 5:00pm to 5:00 AM EDT(the official race time from start to finish is Eastern Daylight, so we leave our clocks and watches on EDT the whole race). They will be accompanied by crew members Lynn Teague, Celeste Burr, Stephen Harrell and Neil Fleming. The “day” shift includes riders Frank, Joe Daniels, Lee Amlicke and Jane Eastham, plus crew members Charlie Robinson, Bruce Zavodny, Brigette Killion and Amy Westergren-Amlicke. Each shift splits up, 2 riders and crew, between the 2 mini-vans. These mini-vans will alternate as the “follow” vehicle – the van that follows closely behind the rider on the road. The follow van will have one rider on the road and one rider in the back. The other van will drive ahead 10 to 20 miles, position a rider on the road ready to ride, and wait for the current rider and follow van to catch up. When the exchange occurs the new rider will start out and his/her van will then become the follow vehicle. The 2 vans continue hopscotching this way for 12 hours (to approx 5am or 5pm) when we will do a full shift change of all riders and crew. At time the shift that just finished their riding will hop in the Sprinter van with their gear and drive 200-250 miles to the next motel to eat, sleep, clean up, do laundry and shop for the next day. If all goes smoothly there will be time for about 3-4 hours of sleep, although for the first couple of days the riders may be too keyed up sleep at all. The multi-talented Chad Carter, our 9th crew member, is driving the Sprinter Van, shuttling the day and night teams to and from the exchange points and the day’s motel. He is also our on call emegency medicine, massage and physical therapist. It’s always good to have a ex-military man on board and we are very happy Chad is here with us. Saturday Morning – Race Day! So it all comes down to this: Race day, all prep is done, all inspections passed, all systems GO! The Chain Gang will line up at the starting line as the LAST TEAM STARTING. Great! That means a lot of rabbits to chase. All eight riders will… leave the starting line together in a “parade start”. After .6mile all but Jerome and Tony will peel off and hop in vans which will skedaddle to a point 23.4 miles from the start line and wait for them. This first part of the course, winding through the hilly suburbs then farmland outside of Oceanside, is totally unsupported; RAAM just can’t allow that much van and bike traffic in this area. Jerome and Tony are riding together in case Jerome, the lead rider at this point, breaks down, flats, whatever, Tony can continue racing for the Gang without delay. Jerome then Tony will reach that 23.4 mile point where Dave Payne will take over in a “flying exchange”, a full speed swap on the course. Jerome and Tony will hop in the follow van with Lisa Wilson, also on the night crew, and move ahead of Dave to the next exchange point about 5 miles up the road. In RAAM language this is called “Leap Frog Support”. The support vehicle and crew is not allow to follow the rider but must move ahead at normal speeds to spots where they can pull off the road and wait. The vast majority of the Gang’s 3000 miles will be direct support with a vehicle following right behind the rider, but this won’t start until almost 100 miles into the course. It’ll be the night crew, Jerome, Lisa, Tony and Dave, for the first 12 hours racing. The first 80 miles of the race are hilly, no downright mountainous, climbing Palomar Mtn. (yep, where the telescope is!) before descending 4500 ft. into the desert. When Dave reaches the next exchange point after 5 miles riding Lisa will take over. Lisa will climb to the next point where Tony will take over. The climbing for a while intensifies. Then Dave will exchange with Jerome… and the rotation continues. We will reach our first Timestation checkpoint at a mountaintop lake, Lake Henshaw. Some flats, some climbing and then Dave will be on the bike as he summits Palomar and descends the glass elevator. This descent is one the more thrilling parts of the entire 3000 mile route, Tony got the call in 2009, Jerome in 2010 and Dave in 2012. A post tomorrow will have video (we hope) of Dave cresting and descending into the desert 250 feet below sea level and more about the balance of the first night crew shift! In case you missed them, here are links to our recent enewsletters. If you would like to subscribe to our enewsletter, please send us an email request to gachaingang@mindspring.com. Get to know the 2012 Georgia Chain Gang riders and crew…introducing Tony Myers and Chad Carter! A little more than 7 weeks until the start! After months of preparation we are closing in on the start of the Georgia Chain Gang’s third RAAM. This team has put in tens of thousands of miles since this idea was hatched in the spring of 2009. 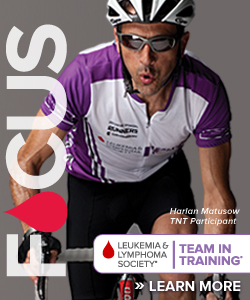 We’ve also raised over $300,000 for the Leukemia & Lymphoma Society over the last three years, with more to come! While finishing the race is a huge accomplishment, I think we all are even more proud of what we have done to help this cause. 1300 people follow us on Facebook and many more through our newsletters and Twitter feeds. The support and encouragement of all these people is very important to us, and much appreciated. We hope and plan to do them and you proud this year. We got to know Charlie, crew chief for the Equipe Schwarz team from Germany, before the race, as we stayed at the same motel in Oceanside. We chased them all through the race, but they beat us by a few hours. This is the kind of friendly rivalry the race fosters and that adds to unique and memorable nature of the whole adventure. Charlie, we wish you well and hope to ride with you again! gratulations to your raam result and to the amount of money you collected! we where waiting for you with ice-cold beer right behind the finish-line, but unfortunatelly my crew was pretty thirsty and we decidet that it would be a shame let the beer warm up. i`m sorry we don`t meet you wether downtown annapolis nor on the official party, i hope you all are doing all well and you allready stopped crying about the lost battle against our team. you had the better rider, better bikes and the better crew and the most attractive crew-captain on raam 2010, for a better performance she just needs a tactical genious by her side. that`s me. if you are thinking about raam 2011, give me a call, i`m sure travelling with the chaingang is fun.